Animas River Days is a weekend-long celebration of all things whitewater: rafting, kayaking, paddle boarding, rubber duck racing…? Oh, don’t forget the inflatable rodeo or the river parade. Animas River Days kicks off this weekend, and most events will be held at Durango’s Whitewater Park, 149 S. Camino del Rio near Santa Rita Park. The Animas River is truly the heart of Durango; the city grew up along its banks, and Main Avenue follows the Animas River’s path through downtown Durango. 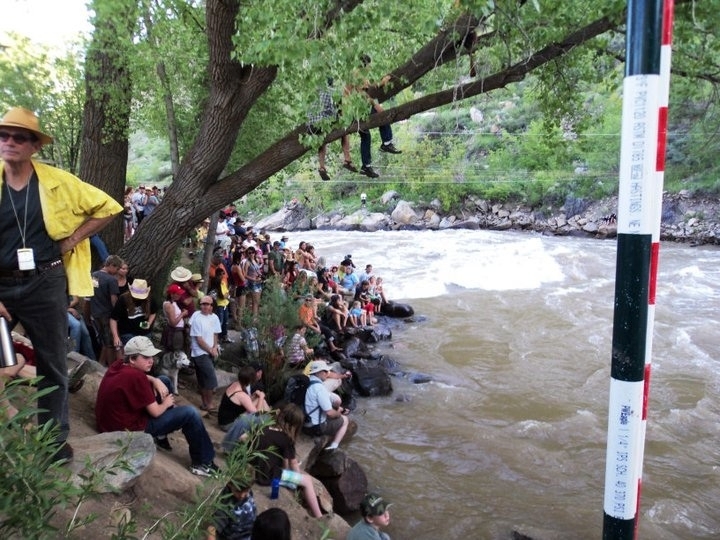 So the Animas River festival the perfect way to celebrate Durango’s mighty river (and the perfect excuse to get wet and wild). P.S. Ska Brewing will open its beer garden at noon both Saturday and Sunday, and plenty of live music will be going on throughout the weekend, which just elevates the awesomeness. Don’t miss the highlight of Animas River Days — the River Parade. Rafters will put in at 33rd Street, just a couple blocks north of our hotel, and float down to Santa Rita Park. Grab your craziest costume and enjoy a beer and live music as you watch the parade float on by. After the river parade, there’s an after-parade party at Ska Brewery that includes live music from The Great Funktier. After the after party, there will be a late-night shindig featuring DJ Soul Atomic at El Rancho in downtown Durango. Sunday kicks off with a downriver kayak race followed by Smelter Smackdown Raft Sprint (hosted by Animas Amazons), and 4Corners Riversports‘ standup paddle board series, Surf the San Juans’ freestyle competition, kayak and SUP classes, Mild to Wild’s inflatable rodeo and downriver relay race. The weekend wraps up with the Animas River Days awards ceremony at Santa Rita Park.